YPG reiterated their promise that they will continue to wage a relentless struggle against every manifestation of terrorism and ensure the safety and future of this region. 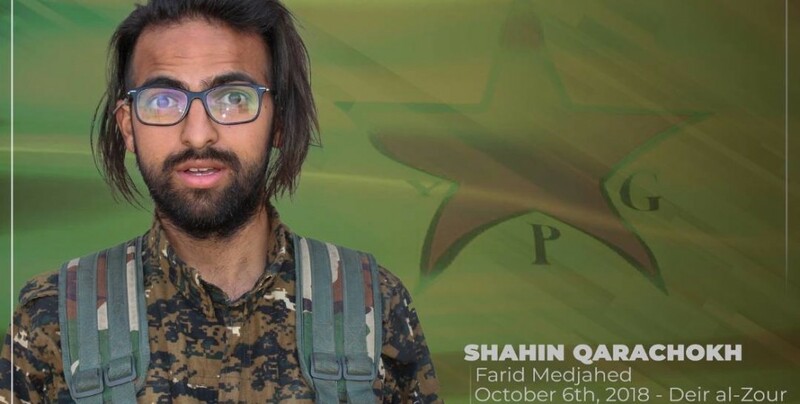 YPG (People’s Defense Units) announced the martyrdom of French fighter Farid Medjahed. “Since September 10, YPG and YPJ forces have been taking an active part in Operation Cizre Storm, pushing toward the last remaining ISIS stronghold on North Syrian territory, the town of Hajin in Deir al-Zour province. As part of the operation, intense clashes took place between our forces and ISIS terrorists in the villages near Hajin on October 6. In the course of these, our comrade Şahin Qereçox (Farid Medjahed) bravely gave his life.